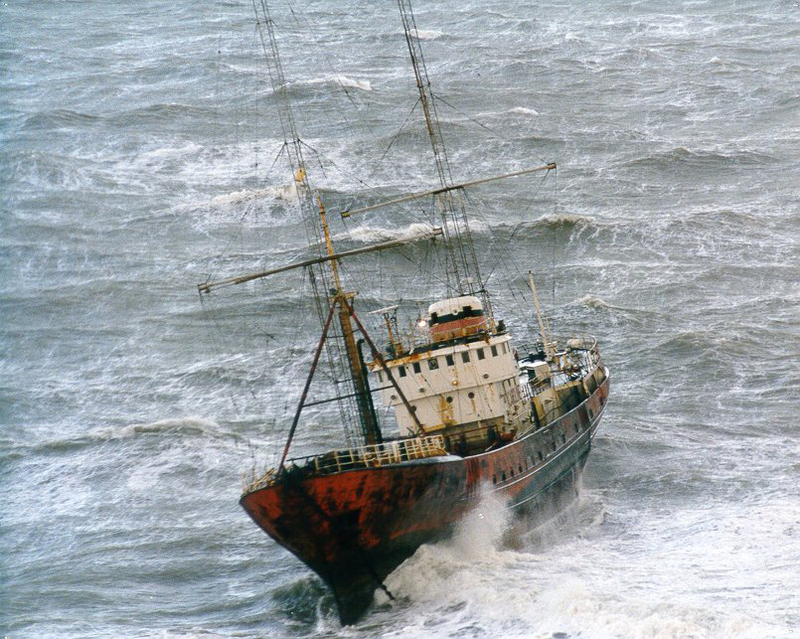 On the 20th November 1991, with her main anchor failed, the Ross Revenge found herself grounded on The Goodwin Sands, the notorious sandbanks located off the Kent coast. The crew immediately contacted Dover Coast Guard and within a few hours were airlifted by helicopter to RAF Manston. 04:45 - Dover Harbour Board tug Dextrous deployed to rescue. 05:35 - Ramsgate lifeboat arrive at the request of Dover Harbour Board - Ross Revenge crew make contact. 06:58 - Ramsgate lifeboat runs aground on Goodwin Sands but manages to free herself. 06:57 - RAF Sea King helicopter winched all Ross Revenge crew off the ship and returned to RAF Manston. The Dover tug Dextrous failed on the first two attempts at moving the Ross Revenge from the sandbanks but on the third high tide, on 21st November, the Ross Revenge was finally moved and towed back to Granville Dock, within the Western Docks in The Port of Dover.. The first recorded vessels to have fallen victim to the sandbank date back to 1703 in 'The Great Storm' where over 40 merchant vessels, and over 2000 lives, were lost - including HMS Northumberland, HMS Restoration and HMS Stirling Castle. It is estimated that in excess of 2000 vessels lie beneath the shifting sands, with the total number of fatalities unlikely to ever be known. 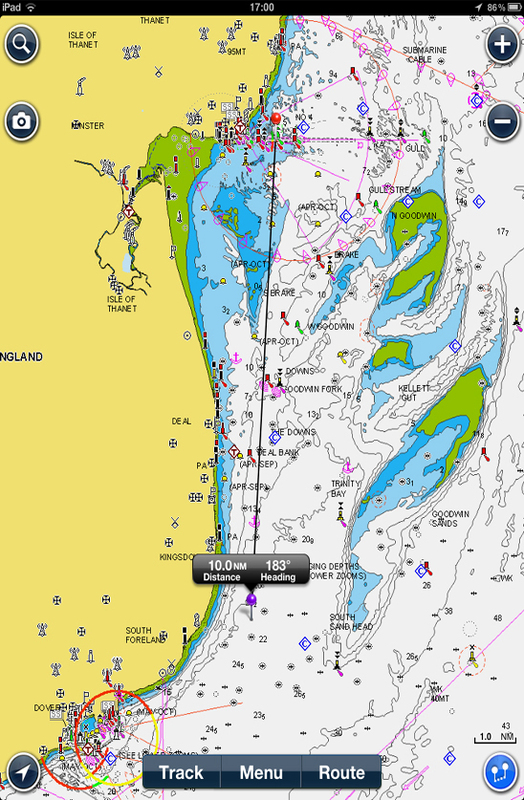 With today's vessels equipped with sophisticated GPS navigation tools, the likelihood of being grounded on the sands has been reduced considerably - but that's not too say that it still doesnt happen. Even with GPS and the Goodwins markers - The East Goodwins Lightship and Marker Buoys - any vessel anchored up close the to sandbanks in a storm are at risk to both the elements and the sands. Fortunately in the early hours of the 20th November 1991 the Ross Revenge, although floundered and listing 45 degrees to Starboard, was not claimed by the sandbank - a feat that is testamount to the strengthened structure of the ship. Making our way up through the Kellet Gut, the channel of water between the North & South Goodwins sandbanks, weather conditions on the sands were perfect for filming - enabling us to get over an hours worth of stunning clips. Best summed up, the sands are a surreal experience on a nice sunny day ..... however not so good if your'e on unlucky enough to be too close on a Radio Ship in a force 10.. When time permits we'll upload an edited video but for now please find below a 7m unedited trailer at the point where the tide was turning .... around an hour away from the sands being fully exposed. And yes - for those with good observation skills we were attacked by a seagull half way through this clip.